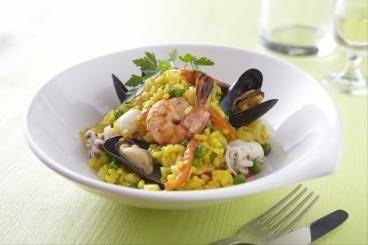 Discover our fantastic selection of paella recipes, all written by our expert chefs. These paella recipes are easy to cook and perfect for cooking time and again at home. A Spanish speciality, paella is a rice-based dish made using meat or shellfish, garlic, tomatoes and saffron. 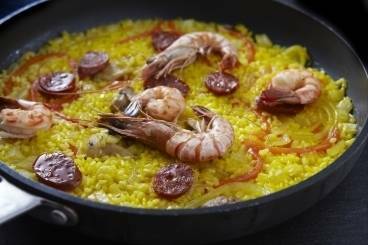 This dish is traditionally cooked in a special paella pan; wide and shallow, this shape gives the paella a smokey, crunchy base.